GIS is one of the transformational technologies that agencies across all levels of government have embraced, and that’s a great thing. GIS can bring many benefits to government agencies, from making the organization more efficient to generating revenue to offering new services. GIS can be used by seemingly any government function, from public works to planning to transportation to health and human services. Since GIS is part of the IT world, almost all discussion of GIS is technical in nature. 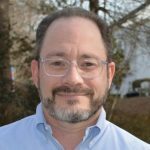 As I talk to and work with government agencies around the U.S. that are using GIS, I see a recurring theme – most organizations are underutilizing the technology. Part of the reason most organizations are underutilizing GIS is that most people see GIS as a map-making tool. My recent article on Rebranding GIS to Better Understand Its Power addressed this. Another reason this underutilization of GIS exists is due to the lack of planning and execution to address the Business of GIS. This makes sense if you think about it. Like me, most GIS Managers do not have backgrounds in IT and/or Business. My degrees are in Geography and Urban and Regional Planning. Therefore, we are unprepared to successfully manage an enterprise IT business system like GIS. If you want to fully utilize the GIS technology you have access to, then you need to embrace the Business of GIS. This means expanding your work to include learning about and implementing solid business practices. This can be accomplished by creating a business plan. This plan should align with your organization’s business plan and have a vision that outlines the future state of how GIS can best serve the organization. It should include criteria that define that success and help you measure it. It should include an evaluation of the current state of your GIS. Then the plan is simply a gap analysis, how to get you from where you are to where you want to be, along with a series of initiatives that get you closer as they are executed. Initiatives can include creating formal GIS governance, cultivating executive sponsorship, marketing spatial analytics, documenting and publicizing GIS ROI, implementing best practices, implementing change management, implementing a training program, etc. Part of this learning process includes spending time researching business processes. This means utilizing business media rather than simply tech media. Much of what I have learned comes from paying attention to business media. Here are a few of my favorites. Here are two great articles from the Harvard Business Review. This one is on increasing your productivity called Stop Doing Low-Value Work and provides information on when and how to do it. The other is Three Differences Between Leaders and Managers. This is a crucial point, as we need to realize that being a manager makes us resistant to change, as change upsets efficiency, but being a leader means that sometimes we need to change for the long-term benefit of the business – and yes, government is a business. Another great article by Brian Solis, If you’re waiting for someone to tell you what to do next, you’re on the wrong side of innovation and disruption does a great job of inspiring us to be agents of change to help spur innovation and transformation in our organizations with technology. I love the quote, “Innovation is a mindset that ultimately becomes a way of life and work.” If you’re going to be innovative, and GIS is a technical industry which should be innovative by default, then you have got to prepare and execute a business plan to make it possible. So please make time to work on the Business of GIS. In the long term, it will lead to a much more focused application of the technology for your organization. This will lead to increased organizational benefits as well as a greater impact on your career that technology alone cannot offer. If you want to take it further, consider a formal education in business or IT management. Don’t try to do this on your own, get help, both internally and externally. 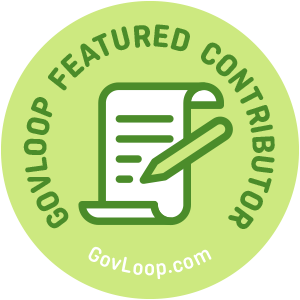 Adam Carnow is part of the GovLoop Featured Contributor program, where we feature articles by government voices from all across the country (and world!). To see more Featured Contributor posts, click here. You can follow Adam on Twitter or LinkedIn. I really enjoyed reading this! I think that bridging that gap between GIS and business is crucial for organizations and their respective teams to harness the power of GIS. I’m excited to see GIS more in action in the future.